I recently came across the interesting case of a company that went onto a daytime TV show to air their dirty laundry. There’s a lot we can learn from this… mostly that you should never, ever do it. First, some context. Two employees of this company appear on a daytime judge show to talk about the fact that one hadn’t been paid for some work he’d carried out. He won £2000. It painted the non-paying company as amateurish and disrespectful of its staff. As it turns out, the whole thing was scripted and you can’t trust TV. Both parties involved were well behind the idea and the director of the company even knew. They’re all convinced it was just some harmless fun that got them all a bit of cash at the end of it – yes, even the ‘defendant’ gets paid. Why else would you do this on TV? The company in question wasn’t mentioned in the show but a Google search of the names involved will tell you exactly what the company is. The problem is the company has been labelled as ‘amateurish’ by others in the industry before, something you’d think they’d be keen to fight against when trying to win new contracts. Of course, the likelihood that people of importance would be watching that show is very low and I’m sure a lot of people will recognise the whole thing as fake. However, that doesn’t stop the show damaging the brand; a brand that has had its own fair share of ups and downs over the past couple of years. As a result of the show, at least two very talented employees have left. I’m vaguely involved with this brand and the whole situation has made me realise I need to take a step away but also that perhaps there are people out there who don’t understand the basics of PR and maintaining your brand image. Here’s what we can learn from this company’s mistakes. While it’s possible to spin something negative to work for your business, don’t ever put that negative press out there yourself. If you want your business on television, choose the show wisely as some can really work for you even if the situation starts off as a negative. For example, Ramsay’s Kitchen Nightmares might start off by showing your restaurant in a bad light but the transformation is obvious. The show’s end result is showing off your fantastic restaurant that’s also been on the telly. 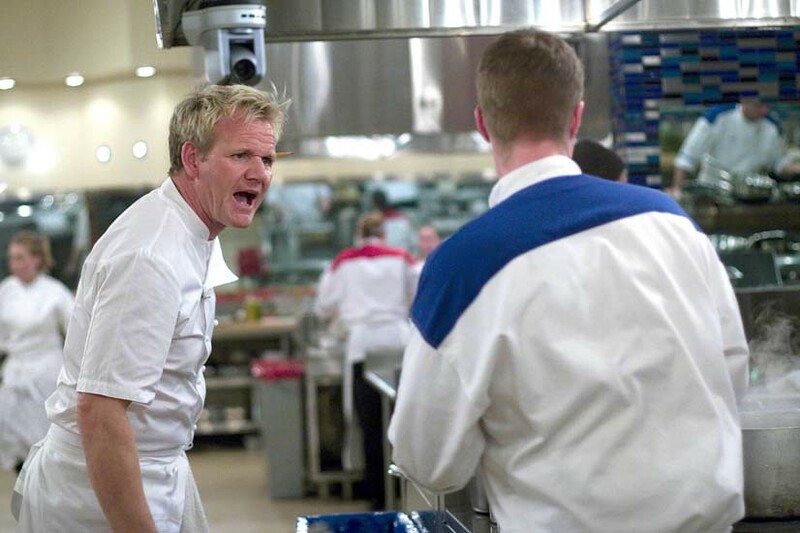 You also get to be shouted at by Gordon Ramsay, which is a bonus. If you want to go into a competition such as Four in a Bed, make sure you have the product and personality to win. A lot of how you are portrayed is down to the producers and who else ends up on the show but don’t let ego get in your way and assume you’ll win. While a loss might not be a PR disaster if you come across well, you will lose customers if you act aggressively, as so many people do. As for Jeremy Kyle, just don’t. When trying to spin something, you either need an all-out assault on the situation, or you need to just let it blow over after your initial comment. I can see the judge-show situation working if they’d gone all out to shout ‘it was a joke!’ from the top of the internet. I did hear there were plans to maybe laugh about it on social media but that’s not enough and just flags up the show to people who may not have already seen it. In this case there’s no bad blood between the employee and the company because it was all a joke but there are cases where scorned employees will tell all to the papers. You can avoid this whole situation by looking after the people who work for you, they’re your best brand ambassadors so pay them on time, treat them with respect and share some love once in a while. Don’t let a negative situation get to the stage where an employee needs to hire a sassy television judge. I suppose the moral of this story is to steer clear of daytime TV. I’d love to know what you think. Was this company wrong to go on television to air its (fake) dirty laundry? This entry was posted in Business, PR. Bookmark the permalink.